You heard it hear first! SANGUMA band will have a special tribute concert after the funeral of founding member, TONY SUBAM next week. This was announced at an emotional reunion of surviving band members BURUKA TAU, SEBASTIAN MIYONI, THOMAS KOMBOI, RAYMOND HAKENA and AARON MURRAY which I've just returned from. Memories of the glory days of the 70s and 80s came pouring out at today's gathering. 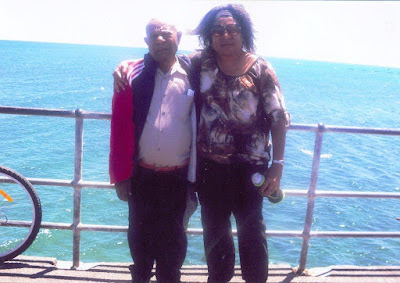 For someone whose music rocked Papua New Guinea and the world, the late Tony Soru Subam, one of the founders of the legendary Sanguma band in 1977, was a quite person, who kept to himself and avoided the limelight. I found this out myself a couple of years ago, when I tried to do a story on him after doing one on his band mate, Buruka Tau, however, Subam said the time was not yet right. Sadly, I will never get to do this one-on-one interview as on Christmas Day, while most of us were celebrating, Subam passed away after a short illness. His father was from Yabob village in Madang province while his mother was from Kairiru Island in East Sepik. I will never forget that night at Theatre Lae in 1980 when, as part as of the South Pacific Festival of Arts, Subam and Sanguma took PNG’s second city by storm. He is survived by his wife Juta and five children. On Wednesday evening, while I was trying to piece together this story at University of PNG’s Creative Arts Strand, where Subam was head of music, Juta, workmates and Sanguma band mate Thomas Komboi agreed that he was not one who liked publicity. Ironically, it was at this very same place exactly 34 years ago, in 1977, that Sanguma was formed. Komboi, in fact, suggested that we wait until other Sanguma members like Aaron Murray, Raymond Hakena, Sebastian Miyoni, Leonard Taligatus, Buruka Tau and Paul Yabo got together so that I could do a proper interview. “He was a very nice person,” Juta reflected. “He was very quiet, both within the house and outside. “He only spoke when he had to. “Otherwise, he was in his own little world, writing his thoughts. “His life was devoted to music. 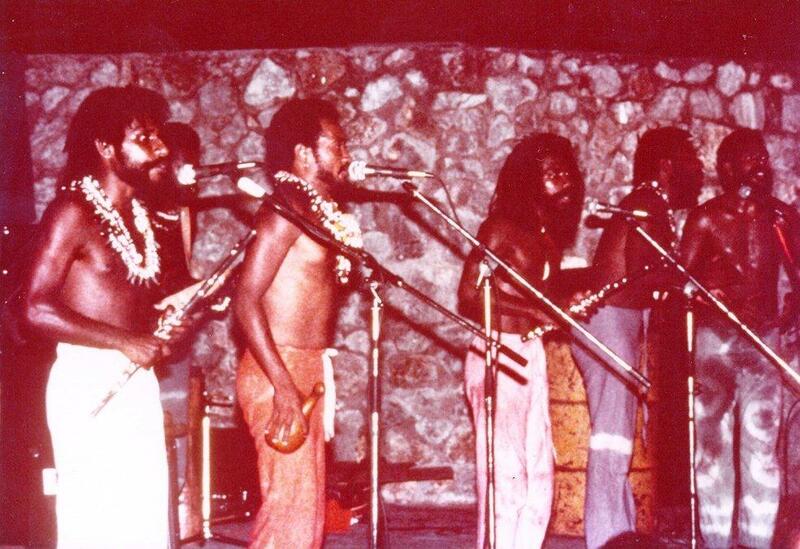 Sanguma, arguably PNG’s greatest ever band, developed its own avant-garde style of music. 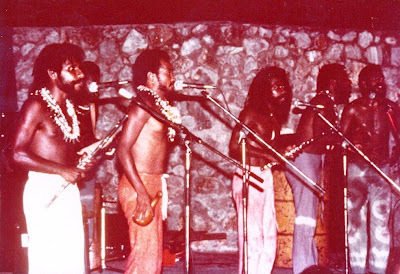 With forward-thinking PNG musicians like Subam, Miyoni, Komboi, Yabo, Saun, Hakena, Taligatus and later Ben Hakalits, PNG music went through an inimitable epoch in the late 1970s and early 1980s. “I think Sanguma even today is very unique in itself,” Tau told me in a 2004 interview. “Sanguma was way ahead of its time. Sanguma, a band formed by students of the National Arts School (now Creative Arts Strand), eventually disbanded because they simply weren’t making money. “It was basically survival,” Tau reveals. “It came to a point where we had to survive. “The music was way ahead of its time. “We did our last gig at the Expo in Brisbane (1988). Komboi told me that Sanguma started in 1977 after a creative workshop at the National Arts School. “That year was that first year that the music school opened,” he recalls. Subam, Yabo, Komboi and Miyoni were pioneer members of Sanguma together with Josepha Tamelagai, Robinson Guta, Hillary Laris, late Bill Stevens, Jesse James Pongap and Peter Piruke. “The following year (1978), Buruka Tau, Raymond Hakena, Paul Yabo, Apa Saun and Aaron Murray came in,” Komboi adds. “The band started because at that time, we were doing cover versions, even copying, songs of outside artists. “Our teachers encouraged us to create our own music, such as that of Osibisa and Santana. “We were all tasked to come up with a traditional song from our village. “That’s how we started going into it. “As we did that, we started writing our own stuff. Cyril Lumbia, technical officer at the Creative Arts Strand who has known Subam for more than 20 years, said he was someone who wanted the best for his music students. He said Subam worked part-time there until 2006, when he became a fulltime contract officer. “He took over as head of music in 2009 till today,” Lumbia said. “He has passed a lot of students. “He related very well to others and was very well respected in return. “His approach to work was based on professionalism. “That’s the kind of person he was. Fellow musician Playton Gombo, lead guitarist of Bluff Inn Soles, another great band of that era, said PNG music would never be the same. “He (Subam) was a very private man, despite being a public figure,” he said. “He has followed us on many of the trips we had around the country. “To us, he is a brother-in-arms, a fellow comrade musician. “He was a front man of contemporary music and we shared those moments with him. “These are the moments we will treasure for the rest of our lives. “We believed in what we were doing, that was showmanship, which was the vision Sanguma and Bluff Inn Soles shared. Interesting, an interview with Sanguma band members including Subam in 1977, is now available on YouTube http://www.youtube.com/watch?v=rYtbPE1Y5D . One Friday afternoon in November 1977, on a National Broadcasting Commission programme ‘University On Air, some of the band members, including Subam, were interviewed and played live some of their music, which is now online for anyone interested in hearing about the beginning of Sanguma. 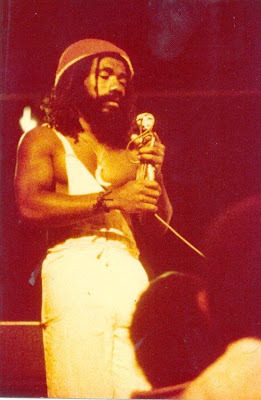 Listening to Subam’s voice from 34 years ago was very emotional for me, more so, when he led Sanguma in his first-ever hit from his beloved Madang, ‘Naiyo, naiyo’. “From different cultures we may come, speaking in different tongues, yet deep within, our souls touch each other through the language of music,” he is quoted on the clip. A FATHER and his son were treated in hospital for injuries they received when they were attacked by armed thugs at a public park, The National reports. Simon Walg and son John Bereu were with family members at the Varirata National Park, Sogeri, outside Port Moresby, on Saturday for a Christmas family outing when they were attacked. Walg, Bereu and his wife Jenny, their sons and family friend Regina Augustine were taken by surprise. Walg and Bereu were attacked with bush knives while Jenny was threatened with a factory-made gun. Sons Joesen and Kapul watched helplessly as their dad bled from the knife wound. They were rushed to the Port Moresby Ge­neral Hospital but because there were no doctors on duty, they had to be taken to Paradise Hospital. Jenny managed to scare the thugs off at the park after she ignored the gun pointed at her, ran to her husband’s taxi and grabbed his bush knife. “I did not care if they had to shoot me because when I saw my husband and Walg bleeding badly, I managed to get away and did not care if they will shoot me,’’ she said. She believed the thugs only wanted to harm them and not steal anything. “We had our backs turned at the lookout point of the park to see the city when the first one came hit my husband on the neck before running straight at Walg and hit him too,” she said. She said Walg tried to ward off the knife and prevented more injuries to himself. She blamed the incident on the National Environment and Conservation Department which for some reason had reduced security officers at the park. She said the park should be well guarded so that families could use it. “At the moment, the park is not safe and the security is not guaranteed,” she said. No comments could be obtained from the police and the department yesterday. POLICE in Enga have arrested a man for allegedly killing a three-month pregnant woman and eating part of her body, The National reports. Police said the gruesome murder took place in Mona­kam village in the Kompiam-Ambum electorate last Tuesday. Police believe the man had been high on marijuana when he allegedly cannibalised the woman. Police said they had never come across such an incident before. They described it as a first of its kind in the province – one which was known more for tribal fight and not cannibalistic practices. Provincial police commander Martin Lakari said last Friday the man had been detained at the Wabag police cell. Lakari said the man drank the woman’s blood and then started cutting her throat and ate it before locals were alerted and stopped the man. He said locals then alerted police who arrested the man. Lakari said to arrest such a person was not that easy because he had tasted human blood. Police had to tie him with a rope before taking him to the police station. Lakari described it as “unbelievable” and inhuman. He said the man allegedly smoked marijuana and when his throat turned dry, he attacked the woman with a knife, killing her instantly. Lakari said as the woman lay dead on the ground the man licked her blood and started eating her throat. Lakari said these were actions of drug addicts and mentally ill people. He said such actions had painted a bad name for the province. Lakari said the woman had been expecting her first child and therefore it was a double murder because she was pregnant. Lakari warned people, especially women whose husbands were known for smoking marijuana, to avoid them when they were alone. He warned mothers not to let their children stay home with their fathers because such an incident could happen. AN American Baptist missionary was attacked by a group of prisoners after row over land ensued between the Correctional Service (CS)and the Baptist mission, The National reports. The land is at the Pangia station in Southern Highlands. Missionary Chad Wells said a group of 20 prisoners armed with knives had been cutting grass in the mission compound while two unarmed warders watched over them. Wells had asked the warders why they were cutting grass in the mission’s compound. 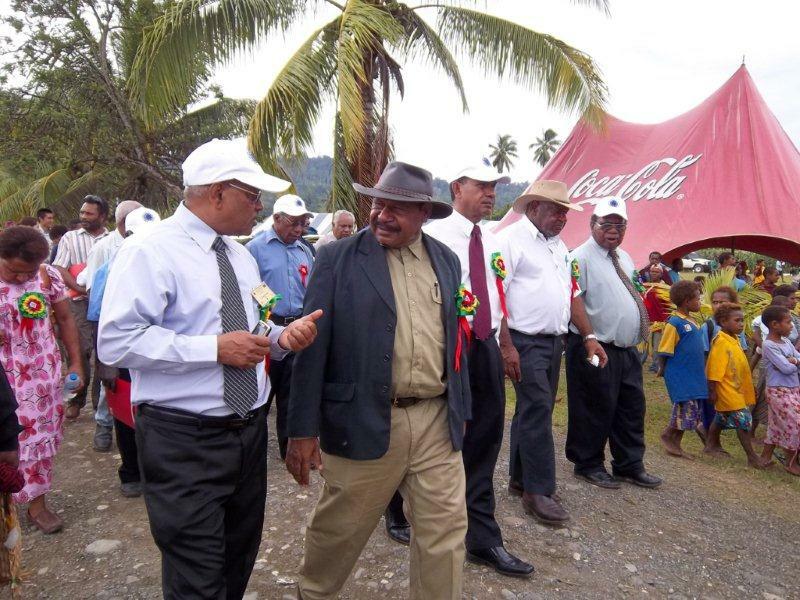 They replied that the land had been surveyed for a rural prison improvement project initiated by local MP and Prime Minister Peter O’Neill. Wells told the warders that the mission held the title over the land. He tried to stop the prisoners from cutting trees but they attacked him with their knives, injuring his right back and wrist. He said the warders did nothing to stop the prisoners and instead threatened to kill him and remove him. They claimed that the CIS held the title to the land since the 1970s. He said when the warders were asked to produce the papers on the land ownership, they ignored him. Another missionary and a doctor who were at the scene said Wells was unarmed – and he was punched thrice on his chest when he intervened. Nixon Kanema, the officer in charge of land matters in Ialibu-Pangia district, said the CS should have consulted the district administration. He said the Baptist mission had the relevant land documents and urged CIS authorities to develop the existing prison area and look for other alternative land. As 2011 approaches its end and 2012 lies only days away, we are proud that National Agriculture Research Institute (NARI) continues to make very good progress in accomplishing its strategic objective and impacting positively on the lives of our people. This was echoed by NARI director general, Dr Raghunath Ghodake, in his Christmas message to staff, partners and stakeholders, acknowledging that this would not have been possible without their tireless efforts. 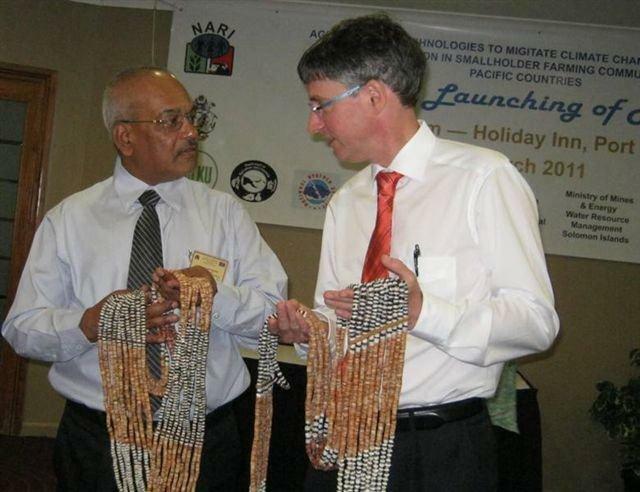 Among these achievements was the launching of the NARI-EU Agricultural Research for Development project on generation and adaptation of agricultural technologies to mitigate climate change imposed risks to food security in smallholder farming communities in western pacific countries of Solomon Islands, Vanuatu and PNG. This mega project is in addition to the three projects for capacity building which are being implemented by the Institute under the EU ACP Science and Technology Programme. 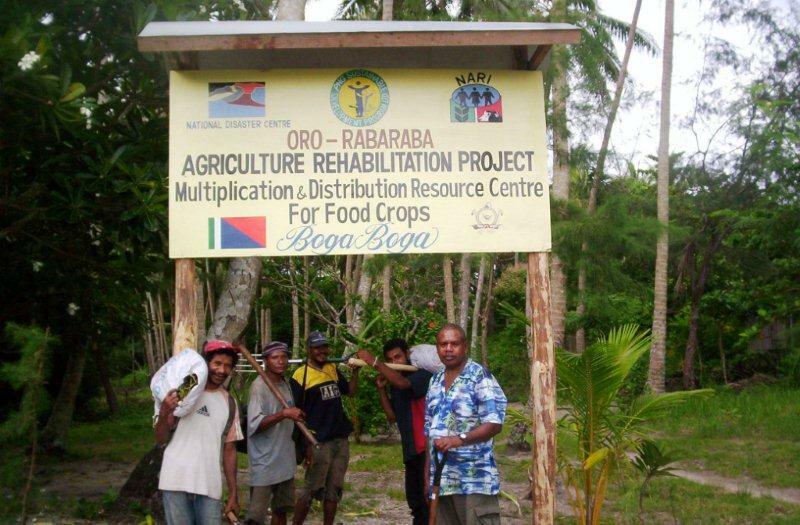 These projects will benefit agricultural research and development organisations in the Western Pacific Countries. Dr Ghodake noted that many areas of these projects had been successfully implemented during 2011. In May, NARI celebrated its 14th anniversary, coinciding with the staging of the 5th Agricultural Innovations Show. During this event, the institute officially released three improved technologies to the farming community. These included two blight-resistant potato varieties, two cool-tolerant rice varieties for the highlands and the broiler feeding system developed using locally-available resources, bringing the number of NARI-released technologies to 27. Dr Ghodake also noted the institute’s continued achievements in many excellent outcomes such as quality publications, staging of and participating in important public events, working with local organisations and rural communities on technology transfer-related activities, increased participation in post-graduate training, direct funding from AusAID, and wider acclaim from stakeholders and civic society for information dissemination through the print and electronic media, field days, public shows, training sessions and demonstrations. It was noted that during year, NARI staff participated in a wide range of workshops, conferences, training programmes and technical consultations both locally and internationally. They also produced an array of conference or workshop papers, corporate documents, technical bulletins and scientific journal publications. NARI has made good progress on the refocused institute planning and alignment of the organisational structure and management systems so as to contribute effectively to improving the outputs and farm level outcomes and impacts. The institute has developed its Strategy and Results Framework (a corporate document), a key milestone and the basis for further focusing and planning at the programme and projects levels. “We will continue to develop further the Institute and build on relevant capacities to create a congenial environment for AR4D and to further improve in service delivery efforts for our primary clients, the smallholder farmers of PNG, while at the same time continue to deliver on currently implemented projects and on‐going activities”, Dr Ghodake added. “We are pleased with the confirmation in March by the Parliamentary Committee on Public Accounts of our prudence in financial management and accountability. “We will continue to undertake the institute’s financial management within the established financial guidelines and procedures. “ NARI will continue to be pro-active in providing good corporate governance from our very able council and equally good leadership at the executive management level”. Dr Ghodake expressed that these achievements could not have been possible without the dedication and commitment of the PNG Government, AusAID, EU, stakeholders, donors and NARI staff from all programmes and at all levels, stating the institute highly appreciated and treasured their commitments and contributions. While wishing all staff, partners and stakeholders an enjoyable festive season on behalf of the NARI council and management, he called for their continued and proactive contributions in 2012 and the years to come for the benefit of the farming community who depend partly or wholly on agriculture for their livelihoods. Well know musician and founder of Sanguma, Soru (Tony) Subam, died on Christmas Day after a short illness. 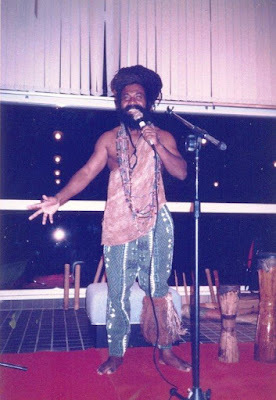 Widely considered to be a founder of Papua New Guinea's contemporary music scene, Subam co-formed Sanguma in 1977, melding the PNG cultural traditions with western instrumentation. 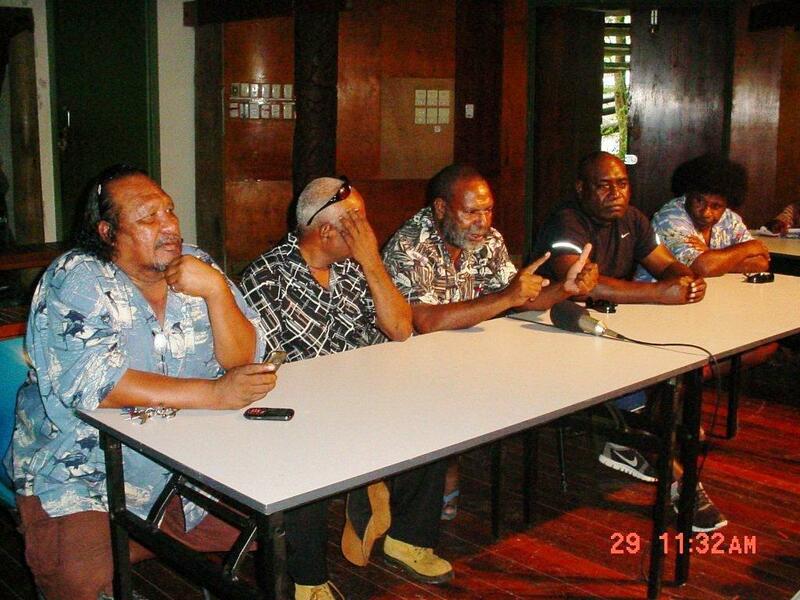 Headlining the South Pacific Arts Festival, they were the first PNG band to tour internationally. Subam has been an inspiration to a whole generation of PNG musicians. The court case between Fred Yakasa and Tom Kulunga over who is the right police commissioner has been deferred to January 12, 2012, NBC reports. This was because of an amendment ti the originating summons by Yakasa's lawyer, David Dotaona. 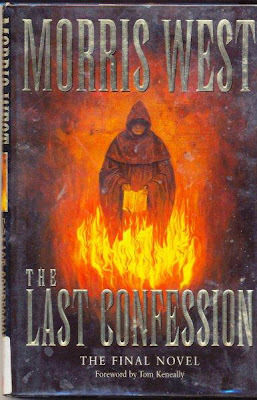 Last night, till the early hours of this morning, I read MORRIS WEST'S final novel before his death, THE LAST CONFESSION, which is about GIORDANO BRUNO, Dominican monk and rationalist philosopher, who was burnt at the stake in Rome's Campo dei Flori on Feb 17, 1600. Bruno's beliefs and writings were considered heretical by the Catholic Church. 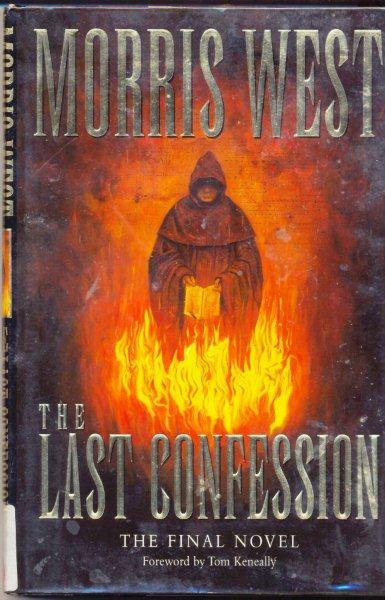 Investigated and tortured by the Holy Office of the Inquisition, and incarcerated for seven years in Rome's worst prison, Bruno was given the opportunity to recant but chose instead to die for his beliefs. SMALLHOLDER agriculture and family farming is the core contributor to agricultural production in most developing countries, including Papua New Guinea, contributing to achieving food and nutritional security. To help these smallholders improve their farming practices; a coalition of public, private and civil society actors at national, regional and international levels is needed to revitalise and strengthen agricultural extension and advisory systems. This was the challenge put forward by more than 400 participants who attended the international extension conference on Innovations in extension and advisory services: Linking knowledge to policy and action for food and livelihoods. The conference. held in Nairobi, Kenya, from November 15-18, 2011, was aimed at taking stock of current policies, thinking and practice, successes and failures of ongoing and past reforms in extension and advisory services and develop a coalition to address the needs of smallholder farmers, in particular women and youth, in a sustainable and cost effective manner. The conference covered four cross-cutting themes of Policy, Capacity Development, Tools and Approaches and Learning Networks. Farmers, extension professionals, policy-makers, researchers, academics, representatives of the private sector and the media from over 70 countries participated at this event. The Pacific region was well represented with representatives from a number of key organisations to voice the concerns of Pacific Island countries and territories. Rural advisory services are increasingly recognised by many rural development actors as an essential vehicle to ensure that research, development of farmer organisations, improved inputs, and other elements of rural development support actually meet farmers’ and other rural actors’ needs and demands. Despite past advances in agricultural innovations through improved crops and farming systems, much of the developing world still faces challenges in food and nutrition security, non-sustainable agricultural practices, poor access to markets, and a falling contribution of agriculture to national GDP. Rural farming communities have not really benefited from advances in agricultural technology. The diminishing national extension and advisory services reflect reduced government investment in agriculture. Now, the global community, responding to this situation, is revisiting extension and advisory services as the critical link in the agriculture value chain, where smallholder farmers are key actors of agriculture. Director of CTA, Michael Hailu in his opening remarks said that the conference theme, Linking knowledge to policy and action for food and livelihoods, was very relevant and provided a new perspective to extension and advisory services. He said 75% of the poor in developing countries lived in rural areas and the majority of them depended on agriculture for their livelihoods. He pointed to smallholder farmers as the primary group producing food, yet over 30 million people in Sub-Saharan Africa face food security issues. Any effort to fight poverty must start with agriculture. Hailu pointed out that the event was no ordinary conference, where experts came to talk to each other and everyone else politely listening. He challenged participants to take the opportunity provided to create a coalition of different interest committed to improving the welfare and productivity of the world’s smallholder farmers. Extension and advisory services, he explained, had a key role to play in confronting the many challenges farmers face, from climate change to low productivity and rising food prices. He expressed the hope that the conference would identify practices and policies to improve the delivery and effectiveness of extension and advisory services. Hailu advocated increasing government funding to agriculture, his call supported by many other speakers. We have and will continue to make this call in PNG. We believe the state has a duty to its smallholder farmers and should invest in agriculture, which supports the livelihood of over 80% of our population. Ensuring food and nutritional security for a growing population is a challenge. The world population estimated to reach to 9 billion by 2050 and with additional challenges posed by climate change and scare resources such as land, water and energy will require not only technical innovations but policy action and investment. The diminished role of extension and advisory services is a hindrance to future agricultural and rural development and hence there is an urgent need for redesigning and revitalising their role in reshaping the global food system. There is also need for coordination of development actors to articulate and advocate for investments in agricultural extension and advisory services and to ensure that they remain priorities on the national, regional and global development agenda. 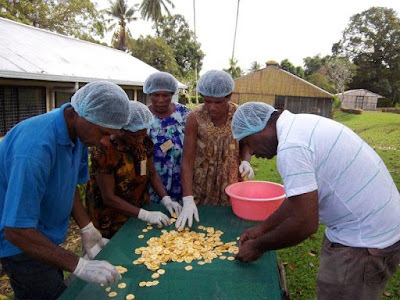 In PNG, responsible agencies should act on Ted Sitapai’s recommendation to formulate a new agriculture extension policy, which promotes pluralism, market-oriented, and participatory and methods that are appropriate for empowering farmers and increasing their social capital, particularly amongst women farmers in PNG. Currently our extension system is fragmented, making it difficult for managing and resourcing the extension services. The meeting noted the need to enhance the use of information and communication technologies, both old and new, and engage the media in expanding the reach and impact of extension and advisory services. Strengthening extension advisory services will directly boost value-chain pathways. The international conference provided a unique forum for world experts to share experiences, success stories and challenges and recommend future measures and policy reforms that will make extension and advisory services more relevant and responsive to the needs of millions of smallholder farmers so that they are better equipped to feed a growing world population. We hope some of these recommendations will be acted upon in PNG for the benefit of our smallholder farmers. There couldn’t have been a prouder Papua New Guinean father on Friday, Dec 2, 2011, than Wamel Kiage. 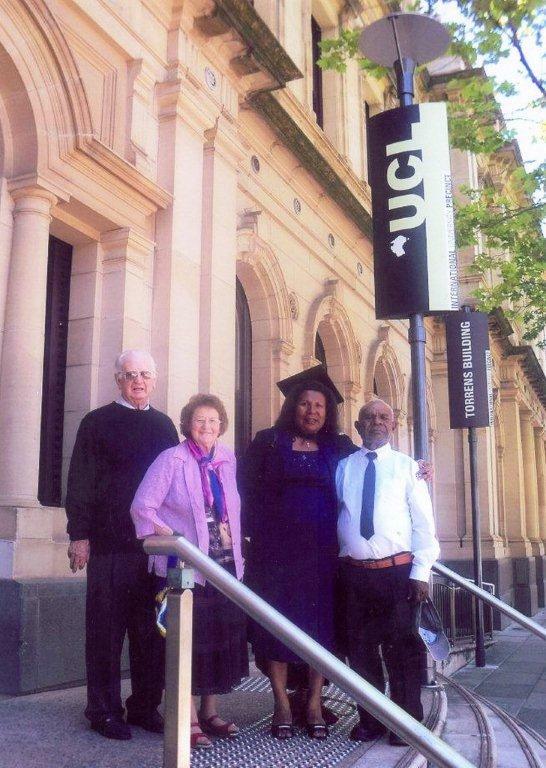 province, was in Adelaide, South Australia, for the graduation of his daughter, Rebecca. Rebecca graduated from the University College London (UCL) – School of Energy & Resources in Adelaide for the award of a Master of Science – Energy & Resources, Policy & Practices on that day. “I was a recipient of the Santos Scholarship which enabled me to partake in this study experience,” she tells me. “There are 10 Santos scholarship awarded globally annually and I am a proud recipient of such scholarship. “UCL is ranked as one of the top 10 universities in the world. Rebecca, who was born in Lae on Aug 12, 1978, did her primary schooling at East Taraka PNG Bible Church, Lae International Primary School and Omili Primary School; Grades 7-10 at Lae High School; and Grades 11-12 at Bugandi Secondary School before going on to the University of Technology, where she graduated with a Bachelors Degree in Business Economics in 2000. She was employed by the Department of Agriculture and Livestock as a policy officer until her resignation in January 2010 when she was awarded the Santos Scholarship. Kiage arrived for the his daughter’s graduation at Adelaide airport after staying overnight in Brisbane and was picked by Ken Tscharke, son of pioneer Lutheran missionaries Claire and Len Tscharke, good parents of his and guardians of his daughter, and rushed straight to the graduation ceremony which started at 9am. “All the while,” Rebecca admits, “I did not think he was going to make it but ‘God is good all the time' and the good Lord made sure all was possible. “I had tears in my eyes when I saw him ushered to his seat. “It was a day of celebration and I was happy both families - the Tscharkes and him - were present. “Dad is a person who truly believes in education and how it can make a difference. “That is why he is so vocal for education, not only for us his immediate children but to all our extended family members and the community in East Taraka, Lae. “Dad and mum always go out of their way to be the surrogate parents for most drop outs and ensure they are placed back to the formal education system. “Their house in East Taraka, Lae, is always a full house with kids from all provinces and all walks of life. Kiage, who was so happy to meet up again with the Tscharkes, was a very proud man. “I was so proud because I always rate education very highly,” he said. “She (Rebecca) was the dux at Bugandi Secondary School (before going on to University of Technology, and then joining DAL after graduation). Kiage did Grades 4-6 at Asaroka in Eastern Highlands where he first met the Tscharkes, founders of the famous Asaroka Lutheran High School, before returning to Kundiawa, and then doing his secondary schooling at Goroka High School. After that, he joined the then Department of Primary Industry before becoming a veteran Highlands Highway truck driver, clocking up 36 years under his belt. “I worked with DPI for two years,” Kiage remembers. “I worked at Kerowagi in Chimbu and Magarima in Southern Highlands. “I then resigned and took up a job as a Highlands Highway truck driver for 36 years. “I was with Pagini, Farmset, Cartrans, Hagen Hauliers and many others. He urges all parents to bring up their children in a God-fearing Christian environment in which education is a high priority. Arthur Somare calls Peter O'Neill a "liar"